@Bad Boi Jesus, haha yeah! The tv was my parent too! @Bad Boi Jesus, *reflects on childhood beatings and being locked in the closest for hours on end* Yeah you’re right! 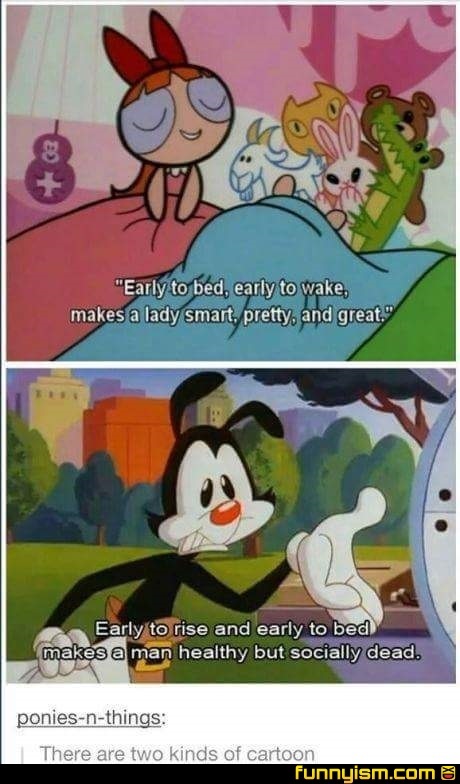 Animaniacs is coming back in 2019. I believe Hulu is the one creating it. I just pray it will live up to the original and not be crappy like most of these have been. @Salem, the question is, well it have "good idea, bad idea" and freekazoid too? @ThePandaPool , I don't think freakazoid was part of animaniacs. But as long as they leave out buttons and mindy, I'll be happy. I have never wanted a cartoon child to be hit with an anvil so much before her.